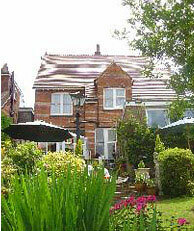 Tower House 1066, a bed and breakfast in St Leonards on sea, Sussex, offers guests a welcoming, relaxing stay. Our rooms feature luxury toiletries, fluffy towels, Egyptian linen, complimentary broadband (on request), TV, hairdryer and hospitality trays. 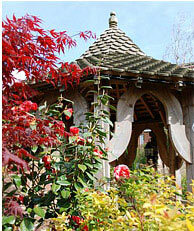 For special offers throughout the seasons, please see our special offers page. Corporate discounts are available. Festivals and bank holidays are charged at the Fri �Sat rate*High Season lasts from 1st May until 30th September and includes the Christmas, New Year and Easter breaks. Low Season is all other times. Weekend rates relate to Friday, Saturday. Weekday rates are for Sunday to Thursday inclusive, except for Bank Holidays. Rates are per room including breakfast and tax (based on two people sharing). We have a 48 hour cancellation policy prior to your stay for 3 days or less. Festivals, bank holidays or bookings of 4 days or over require 7 days notice, prior to your stay. Discounted rates on weekly bookings and special offers throughout the seasons please contact us by email or phone. Room rates include traditional Sussex or gourmet breakfast, VAT, and use of the landscaped garden, comfy guest lounge and licensed bar. We also offer discounted rates for single occupancy of a double room. Check in time is 3.00pm and check out time is 10.30am. Should you require a different check in or check out time, please ask. There is no handling fee for cash, debit cards, or cheques. Credit card payments will incur a 4% transfer handling fee. 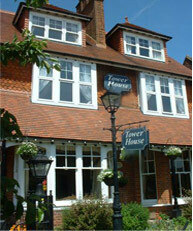 Contact us if you have any queries, or find out more about Tower House 1066 bed and breakfast in St Leonards.